DETAILS: Posters, adverts, postcards & more to support various events and promotions throughout the year. 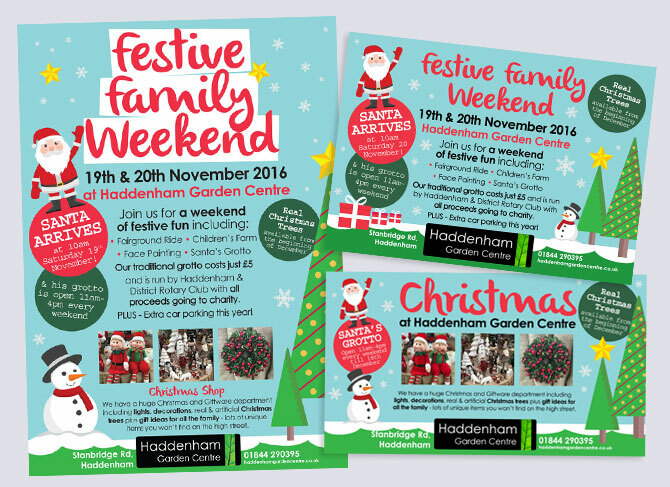 Haddenham Garden centre is a family run business in a competitive local market. They needed support with the design of their marketing materials to keep the ahead of the game at key times during the year. They had an existing logo and colour scheme but no rules about how to apply these elements and no larger brand world to draw on. To start with we created a comprehensive brand book with guidance on logo usage, updated fonts and an expanded, seasonal colour palette. 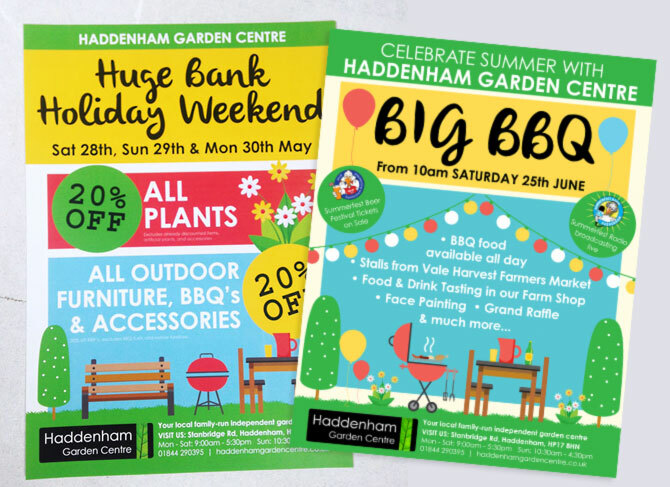 This allowed us to create tailored campaigns for each event or seasonal promotion that still felt like Haddenham Garden Centre but had their own personality. Each campaign runs across press adverts, flyers, posters, postcards and in store POS as well as a variety of ad hoc items.